NPC 2016 is being held on 15th July 2016 at Hyatt Regency, Kolkata, India. We are going to be at NPC, come and visit us Click Here to register for the event. We are proud to be closely associated with NASSCOM, a not-for-profit organization which works with vision “To help the IT and IT enabled product and services industry in India to be a trustworthy, respected, innovative, and society friendly industry in the world”. Established in 1988, NASSCOM has grown over the years and now it’s membership stands at 2,200 plus. The member companies represent almost 95 percent of industry revenues and have helped organization to spearhead initiatives and programs to achieve its vision. InSync Tech-Fin Solutions being one of the leading IT product company of Eastern India understand it’s responsibility to help young entrepreneurs and stabilize a better ecosystem for the IT and IT enabled services and product companies. 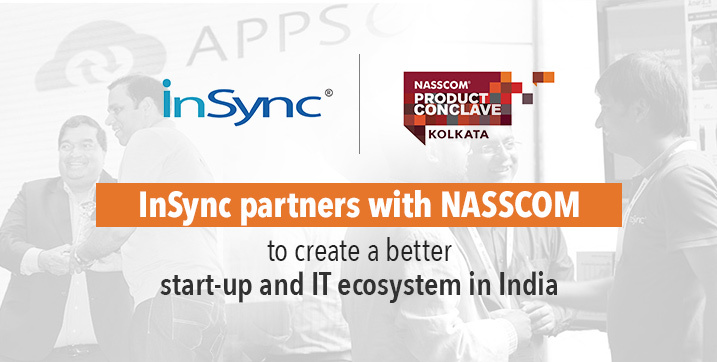 For years InSync has been closely associated with NASSCOM and helped the organization successfully organize initiatives to build the sector in the country and globally. Mr Atul Gupta, Founder and CEO of InSync Tech-Fin Solutions is a part of organizing team for NPC Kolkata and he describes that “one of the objective of this event is to deliver immense value to all the participants”. He also talks about the fact that the “event is going to see some amazing speakers, deep-dive workshops which are lined up” and how each of the participants can get benefitted from these workshops. The event which is taking place at Hyatt Regency on 15th of July 2016 have got great response from all the sectors which include students of leading universities, young entrepreneurs and already established business owners. InSync Tech-Fin Solutions being active member of NASSCOM is helping NASSCOM achieve its mission to establish India as a hub for innovation and professional IT services, it is also helping IT-BPM industry to deepen its footprint in core markets and beyond by building strategic partnerships with its customers. Our association with NASSCOM dates back to 2013 when we exhibited our product APPSeCONNECT at NPC Bangalore, India (InSync at NASSCOM Product Conclave 2013). The next year we were invited by NASSCOM to NPC, Kolkata and then to NPC, Bangalore (InSync at NPC 2014) and got featured among the top most innovative products in India. In the same event NPC, Kolkata 2014 our CEO and Founder Mr. Atul Gupta was invited as one of the honorary speaker which was held on 17th-18th July 2014. 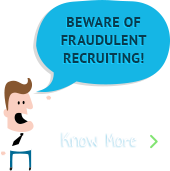 Since then we have been closely associated with NASSCOM as a member organization. Facilitating growth and maintaining India’s leadership position as trusted and safe destination to do business is one of the mission that we share with NASSCOM, we in co-ordination with NASSCOM are working closely with government to shape policy in all key activities such as skill development, trade and business services. We stand on the same phase with NASSCOM to assure “Transform Business, Transform India” the overall mission of NASSCOM and member organizations. We will be actively available at Hyatt Regency on 15th July 2016, come meet us and learn more about what we do and how we are helping the fastest growing industry “eCommerce” worldwide to grow smoothly to the next level. Shitanshu is a Digital Marketing evangelist and loves to spend time on internet. When he is not working or writing blogs, he is playing cricket, reading books or watching movies.